Famous for his shock and awe approach to life, disgraced former rugby league star John Hopoate has done it again with a shocking Facebook post in support of Israel Folau's homophobic views. Folau on Wednesday told Rugby Australia that he would fight the proposed termination of his $4 million contract for sparking public outrage for the second time in 12 months due to social media posts pushing extreme views. 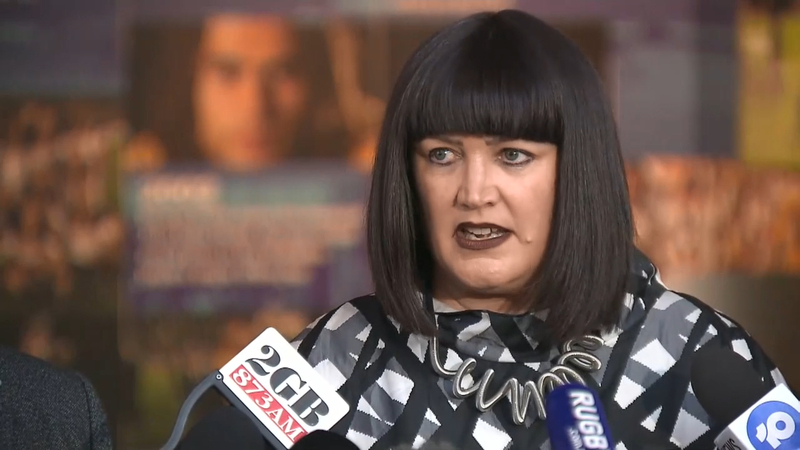 That has set up a Code of Conduct hearing with massive stakes, with Folau's rugby career teetering on a knife's edge and RA boss Raelene Castle likely to come in for staunch criticism if the case against him doesn't hold up. While the vast majority of rugby players and officials who have voiced an opinion on Folau's posts have strongly denounced him, the 30-year-old has his share of supporters too. Hopoate made it clear which corner he was in with a crude and homophobic social media post of his own. “All these idiots carrying on like he’s murdered someone. If your (sic) a bloody HOMO who cares, I’ve been called racist names and all other crap all my life and if you can’t handle been told your (sic) going to hell we’ll (sic) toughen the F up cause no 1 cares if you do or if you don’t. On the other side of the argument, one of world rugby's top referees, openly gay Welshman Nigel Owens, was blunt in his critique of Folau's views. Owens has previously revealed how much he struggled with his sexuality before coming out publicly in 2007, admitting he had contemplated suicide when he was 26. Since then the referee has become one of the most decorated in his craft and was awarded with the honour of officiating the 2015 grand final, in which Folau played for the Wallabies. Despite their clear difference in views, Owens said he had no difficulty separating that from the way he refereed Folau and other players who thought similarly.